Chiropractic care is essential for your health! Chiropractic care is essential to the health of you and your family to ensure optimal function of your nervous and immune systems. Dr. Davis evaluates each patient for vertebral subluxations using a very specific chiropractic approach called the Gonstead method and the Insight Subluxation Station. 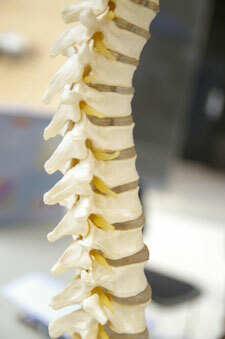 A vertebral subluxation is a misalignment of one of the vertebra in the spinal column or bones in the pelvis. Subluxations can develop during fetal development, the birth process, from minor bumps or falls, severe trauma, repetitive motion, and with normal everyday activities. It’s never too soon to start! At Davis Family Chiropractic, we feel it is imperative for children to be checked by a chiropractor. Chiropractic care from birth can ensure that the nervous system and immune system are developing optimally. We work with infants, toddlers, young children, and teenagers. Learn more about why your child needs to see a chiropractor. Dr. Davis can help with Neurodevelopmental Therapy. 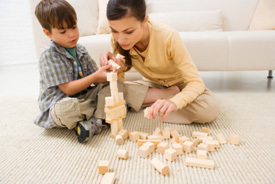 Proper brain development occurs as children reach their developmental milestones. If any of the milestones are skipped, the brain loses the opportunity to learn and grow. Many children with Neurodevelopmental Disorders delay or never reach developmental milestones such as rolling over, crawling, creeping, and walking. In our program, Building Bridges 4 Kids, children go back through the developmental milestones which they missed or did improperly. Children who have Neurodevelopmental Disorders like ADD/ADHD, Sensory Processing Disorder, Autism, or other learning disorders typically have retained primitive reflexes that can contribute to their symptoms and affect learning and their behavior. The persistence of the Primitive Reflexes can impact fine motor skills, gross motor skills, social and academic learning. Dr. Davis performs specific exercises in the office to inhibit the primitive reflexes and gives the child “brain” exercises to perform at home to stimulate the corresponding sensory systems. Proper sensory processing is essential in order for the child to learn academically, socially, behaviorally, and for motor skill development. Improve your health through nutritional therapy. 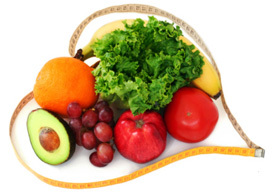 Dr. Davis is trained to help patients with proper nutrition, which is essential for proper function and development. She can help you improve your health through nutritional therapy.